But you shouldn't buy one for its audio performance. 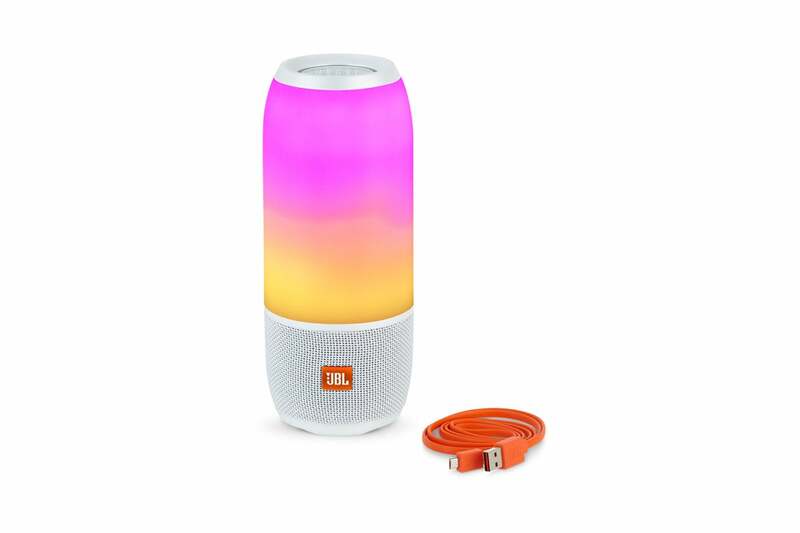 It’s difficult to review products like the JBL Pulse 3. 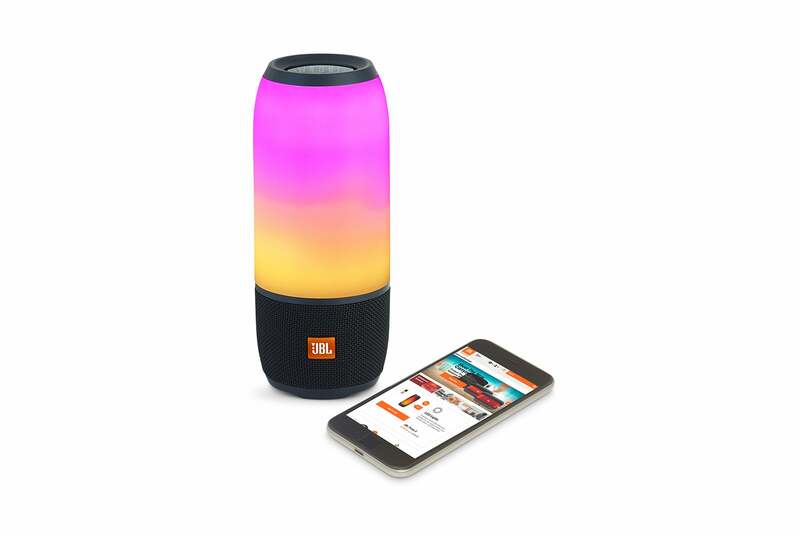 Does one rate it as a new-age lava lamp, as a waterproof Bluetooth speaker, or as the combination of both that it is? Call me old-school, but if a speaker doesn’t sound good, I don’t care how shiny it looks. At least at the Pulse 3’s $200 price point. 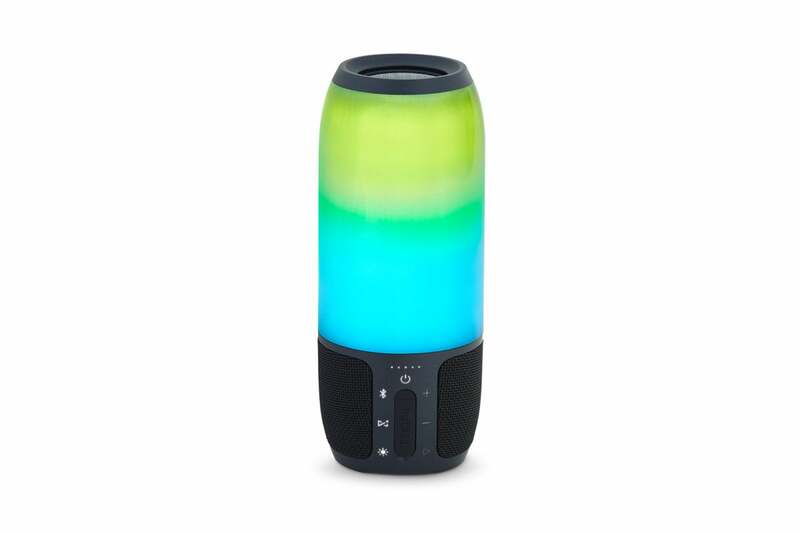 At $75 or $100, I’d probably feel differently about the Pulse 3, which is cleverly designed and radiates attractive color patterns in time with the music. But the Pulse 3’s sound lacks clarity, to say the least. To be fair, the Pulse 3’s mediocre sound is hardly surprising when you consider its IPX7 waterproofing. IPX7 means it will remain functional after 30 minutes under about three feet of water. (Dive to the bottom of the pool and you’re on your own.) But it also means means less than sonically optimal materials where the rubber meets the air and other design trade-offs. Less than optimal sound is a hallmark of the breed. Even more challenging for the designers sound-wise; the upper 60 percent of the Pulse 3 is given over to an attractive 360-degree LED light show that offers a number of color and pattern variations. Said lights follow the music, but it’s somewhat reminiscent of interpretive dance, with some pulses on the beat, and other effects sliding through time between them. I should also note that the light show is configurable using the nine elements from the eight preset light shows (using the Andorid/iOS JBL Connect app), and it is perpetual in the sense that the show continues even when music isn’t playing. To be honest, that’s the way I enjoyed it the most—and I did enjoy it. Enough so that it was pulsing and whatnot for most of the Holiday season. Put bluntly, in case you hadn’t caught my drift, the light show is the reason to buy this product, not the sound. JBL provides a phone app that allows you to control the Pulse 3, including altering the light show. The lower 30 percent (plus the top and bottom, with passive radiators) is given over to three speaker grills plus six touch controls: power, volume up, volume down, Bluetooth pair, JBL Connect+ (more on that in a bit), and a button for switching between light patterns or disabling them. Sitting amid the buttons is a captive plug hiding the 3.5mm auxiliary and micro-USB port. The plug looks a bit like a large slide switch. It isn’t (yes, I tried sliding it) and it fits quite snugly. That’s good, as without it in place, say goodbye to your IPX7 rating. Moreover, put it under water without the plug in place and say goodbye to the Pulse 3. The Pulse 3 functions as a speakerphone, ending a no-phone-home trend with the speakers I’ve reviewed recently. It can also be used in a pinch to charge other devices. Something that’s also been missing recently. The play button can also function as the activation for Siri or Google Now if you set it that way with the app. The 20-watt Pulse 3 isn’t a horrible speaker, but it’s not one of the better ones either. I’d place it just below the middle of the pack. The high end lacks clarity and the low end is underwhelming. In my mind’s eye, I pictured AM radio with a weak subwoofer. There are three 1.5-inch transducers on board, though it’s difficult to say where they are placed in the enclosure. Passive radiators are found on each end of the cylinder. These measure about 1.75 inches and provide little mid-range or top-end. What mid-range and top-end there is emanates from behind the aforementioned speaker grills that you see at the bottom of the unit. The press release says 360-degree sound, but as with the recently reviewed Ultimate Ears Megablast, that’s a bit of an exaggeration—the controls consume about 40 degrees of that. I’m being picky, but I tend to be that way when a case is overstated. When you devote this much space to a light show, sound is bound to suffer. But the Pulse 3 is fun to watch. Caveat: I did not listen to the Pulse 3 underwater, just in the shower. As with other submersible speakers, it’s fun watching the water fly off the radiators at each end the cylinder. For a minute or two. There is one mitigating factor to the Pulse 3’s mediocre sound—you can combine it with up to 100 other JBL Connect+ speakers to create a speaker array playing in sync. You can also combine it with one other JBL speaker to create a stereo pair. All that gets expensive, but JBL does make significantly better-sounding speakers. If you happen to already own one of those and it supports the Connect+ protocol, the Pulse 3 can function as its psychedelic adjunct. Or a somewhat mismatched stereo setup. The Pulse 3 is good for around 12 hours of run time, both in my testing and by JBL's estimate. But that’s at a relatively benign volume. Crank it up and you’ll lose a few hours. The Pulse 3 provides an attractive, waterproof light show that is indeed eye-catching. It also ticks all the boxes in terms of Bluetooth speaker features, such as speakerphone functionality. But its weatherization and all that bling comes at the expense of high-quality sound. The fun factor is definitely there, and it makes for a very cool night light, but you'll find a plethora of boring-looking, but better-sounding Bluetooth speakers at this price.